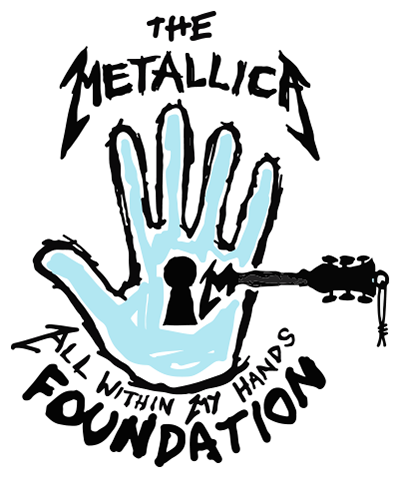 Last month we kicked off the All Within My Hands eBay auctions including autographed memorabilia, music, and Metallica experiences with all proceeds benefiting the foundation. The inaugural run amazed us! We are so appreciative of the support and assistance we’ve received from Metallica fans around the world. And riding that excitement, we can’t wait to bring you our next round. We’re continuing the fun and fundraising this week with our second AWMH auction. This month’s first featured item is a black ESP LTD EC-10 autographed by all four members of Metallica. Alongside the guitar is an autographed limited edition screen printed concert poster designed by Jeremy Packer from the October 30, 2017 Metallica show at Genting Arena in Birmingham, England. The auction will run one full week, ending Tuesday, April 10th at 12:30 PM PDT. Keep an eye out for new auctions on the first Tuesday of each month and stay tuned to this site as well as the AWMH Facebook, Twitter, and Instagramaccounts for updates and links to each auction. Are you a collector and want to make sure you don't miss a thing? Sign up for the AWMH Mailing List to receive notifications each time a new auction begins. All funds raised will be donated to a cross-section of national and local charities and as always, we appreciate all your love and support!